METRO cash & carry is a network of the enterprises of retail trade and public catering, offering its customers a wide range of services, products, discounts. Map client METRO unable to obtain individual private entrepreneurs and representatives of legal entities. Read the terms and conditions of purchase and print them. The document can be read and downloaded here: http://www.metro-cc.ru/servlet/PB/menu/1064254_l7/index.html. Please note that due to company policy, individuals a few minutes the METRO will not be issued. - original power of attorney of the standard sample to persons entitled to perform commercial transactions (on behalf of the individual entrepreneur). - power of attorney for the persons authorized to conduct transactions on behalf of a legal entity.All documents attest the signature of the organization head (signature) and seal. Come with documents to the nearest shopping center , SUBWAY, refer to the information Desk and fill in a map client. Cards are issued completely free of charge and you can immediately make purchases. Remember that one organization can not draw more than 5 cards. Where additional cards are issued only in the store where it was the enterprise (or entrepreneur). Please note that at renewal of an individual company or organization you must provide all the previously issued cards. For all your questions you can get answers here: http://www.metro-cc.ru/servlet/PB/menu/1005100_l7/index.html. 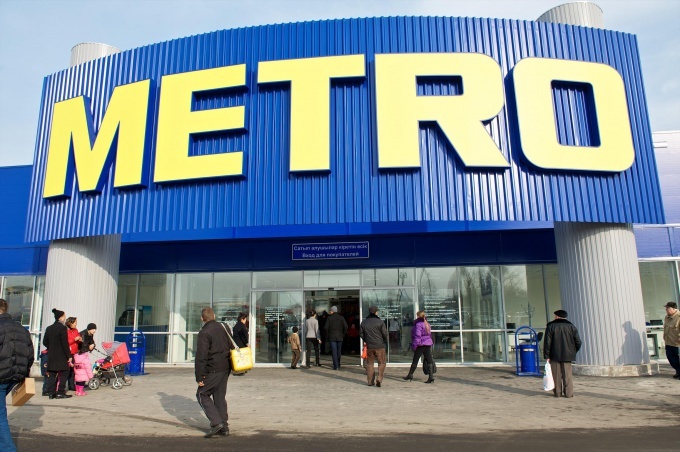 Some sites offer to register cards of clients METRO, but the company itself does not recommend to use the services of such intermediaries and reserves the right to withdraw such cards from circulation.